Sword Training devices, similar to the pell were used by Romans. The word 'pell' or 'pel' derives from the Latin words palos meaning 'stake'. From this Latin origin the English word 'pale' was derived meaning a stake or a pointed stick. From this the word 'palisade' was derived meaning a fence made of wooden stakes, used in early English Castle building. Another spin-off from Pell Training is Pell Mell. 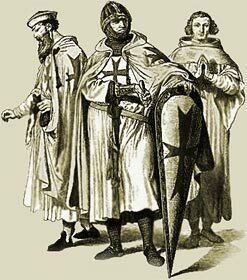 The Medieval Times website provides interesting facts, history and information about knights of old which scatter the Medieval History books including the subject of Sword Training. The Medieval Times Sitemap provides full details of all of the information and facts about the fascinating subject of the lives of the people who lived during the historical period of the Middle Ages. The content of this article on Medieval life and times provides free educational details, facts and information for reference and research for schools, colleges and homework for history courses and history coursework.